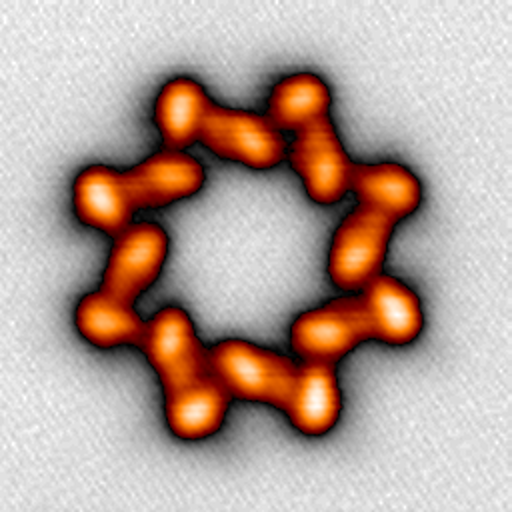 We study mechanical and transport properties of individual molecules on surfaces. Recently, we observed experimentally strong piezoelectric response on single helicene molecules deposited on metal surface. Charge transfer phenomena plays important role in many physical and chemical processes. Our aim is to control single electron charge transfer within a single molecule and detect underlying quantum dissipation processes. J. Am. Chem. Soc. 140 (2018) 940 - 946.